To create a truly breezy atmosphere that brings the outdoors right into your space, with that appropriate combination of ventilation and circulation. An air handler is a commonly used product and technology to monitor the HVAC System. It gives your heating and air conditioning that vital and healthful boost with an emphasis on constant circulation and ventilation to ensure that the air around you is never stale. This is a much favoured technology in a place like Toronto where regulation of the circulation and temperature in extreme weather conditions is a much required feature. The air handler ensures that it filters the air being circulated and also keeps an eye on humidity so as to ensure you are getting well hydrated air instead of being stuck in a typical arid condition with your air conditioning unit whirring on. 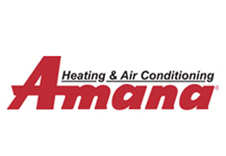 Always ask for a heating or air conditioning system powered by an air handler! View our range of air handlers and call us to have one installed in your home. Lennox air handlers are one of the most efficient in their class, these products are environmentally responsible and one of the quietest you will find too. 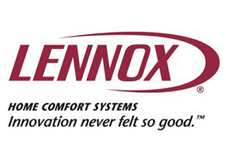 With greater cooling efficiency Lennox products are an HVAC delight. Amana air handlers offer improved humidity control and the SmartFrame sub-structure that helps in additional heat retention. These products also take care of your energy bills being environmentally responsible, so you can switch on and forget about it!